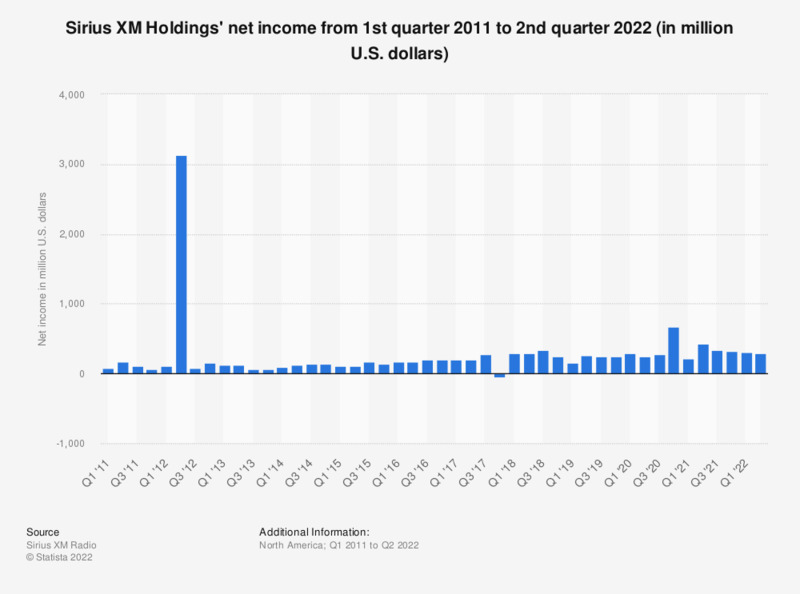 This statistic contains data on the quarterly net income of Sirius XM Radio from the first quarter of 2011 to the fourth quarter of 2018. The last measured quarter brought the company a net income of just over 251 million U.S. dollars. Figures other than for Q4 2017 and Q4 2018 come from previous quarterly reports. Q2 2012 figures include a $3 billion income tax benefit related to previous net operating losses.